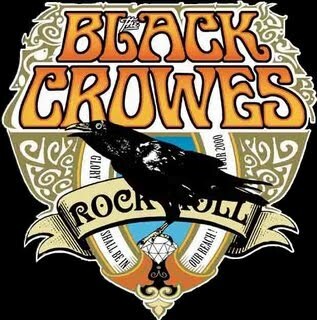 I am so grateful that there are still bands like The Black Crowes. I love the fact that they stay true to their devotion to rock and roll roots. Seasoned vets to the rock stage that they are, the Crowes have taken revitalizing reunions to the next level. Following the release of a year ago, Warpaint, which welcomed the addition of North Mississippi Allstars founder Luther Dickinson on guitar, the Black Crowes hit us again with a killer new record. What makes the raw, gritty, energetic, earthy album great is the recording process. The band chose to record before a live audience in Levon Helm’s barn in upstate new york. What this album does is rejuvinate and recreate 60’s and 70’s style rock and roll….while at the same time growing into this generations’ musical renaissance. The new album is called Before the Frost…Until the Freeze, and was fittingly released on Sept 1. It is so cool, it even goes so far to recreate the album covers and inserts as its vinyl predecessors. Even the CD itself looks like a vinyl 45. Though these days most get off on the ease of buying mp3’s off itunes and other various medias, there’s something to be said about a CD and its album artwork. I love it. My hats off to the Black Crowes and this spectacular new album. Well played.